Can I buy views without being penalised? 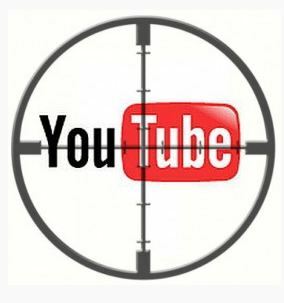 A question since YouTube tightened its monitoring technology back in late 2014, and again in late 2015 – Is it safe to buy YouTube views now in 2017? The answer is YES and NO, depending where you shop. YES it’s safe with an audience retention provider like Video Views International or Virool, and NO it’s not safe with super cheap providers that add spammy auto views. If you’re thinking of automatically tallying up hits on your video view count with dirt cheap sub-continent clicks then it’s all bad news for you – buying spammy/fake/auto YouTube views with no viewer engagement is finished. YouTube’s upgrade to cutting-edge detection methods is putting more and more YouTube views “click farms” out of business. Genuine human views via social media is the only safe way to increase YouTube video exposure. If you want to increase YouTube views to kick-start your video, and you have some money to spend, it is still possible. Here at Video Views we are, of course, getting busier and busier as more customers use our video exposure services. Yes we battle it out in the search engines by giving some of our web pages titles like “Buy youtube views” and “Best YouTube views seller”, but that’s because we have to in order to get the attention of potential customers who Google search with phrases like “buy safe youtube views”. However the reality is we don’t technically “sell” “YouTube views”, we sell time periods of exposure via social media networks that we own/co-own/run, removing the video soon after the number of video visits reaches the desired amount. There is a key qualitative difference between “YouTube views” and “video views”. How can the number of times a YouTube video is viewed be increased? The short answer; Via social media. Whether it’s with us, or one of the other couple of providers similar to us, you need to pay the owners of social media networks to expose your video to real people in real time. Basically you have to be honest now, you need to arrange for real humans to watch your video, and be prepared to suffer the sad consequences if nobody likes it. 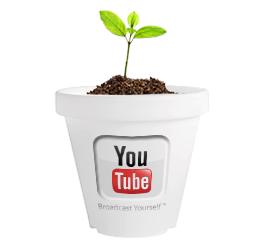 See our simple and quick tips on how to optimise your YouTube view here. The advantage of social media video views is that you impress the search engines, which pushes your video to the top of search results on YouTube and eventually Google as well. Keep in mind we also have a specialised music division for artists and labels interested in buying Vevo views, and our newest division where you can buy Facebook video views is now open. Share your experiences and thoughts regarding paid YouTube views, or just ask us a question and we’ll answer with a comment below yours. If you have a question you’d like to ask privately, contact us anytime at support@videoviews.international or us our quick Contact Form HERE.